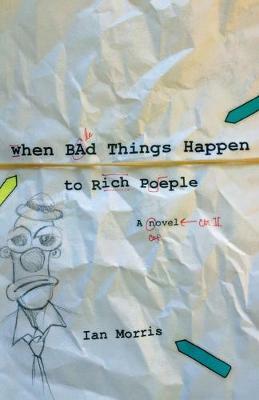 When Bad Things Happen to Rich People is a black comedy set in Chicago. Its protagonist, Nix, is a college instructor whose novel has flopped. Although he and his pregnant wife are struggling financially, their fortunes change when Nix is asked to ghostwrite the memoirs of publishing magnate Zira Fontaine. While grateful for the money, Nix finds his marriage, career, and identity threatened as he struggles to write, navigates the intrigues of Fontaine's corporation, and faces fatherhood.